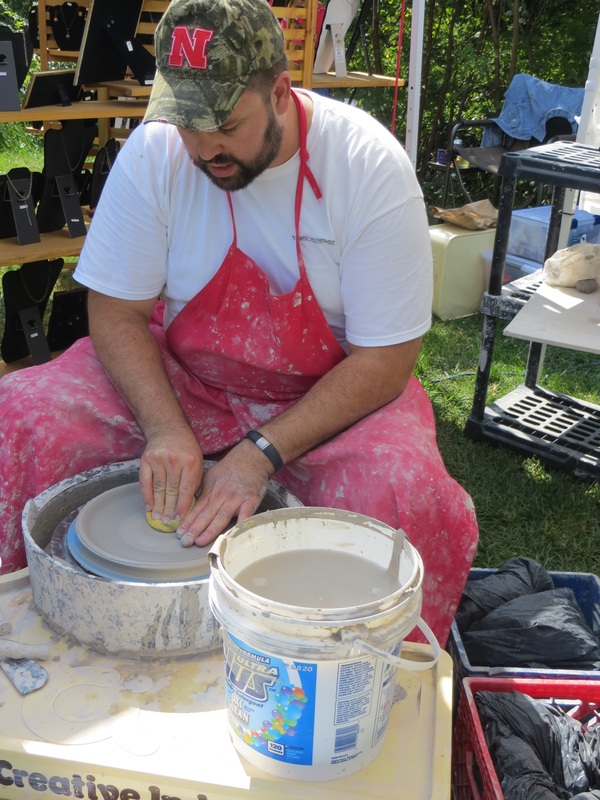 Sunshine, live music, and handmade creations made a recipe for a great weekend! 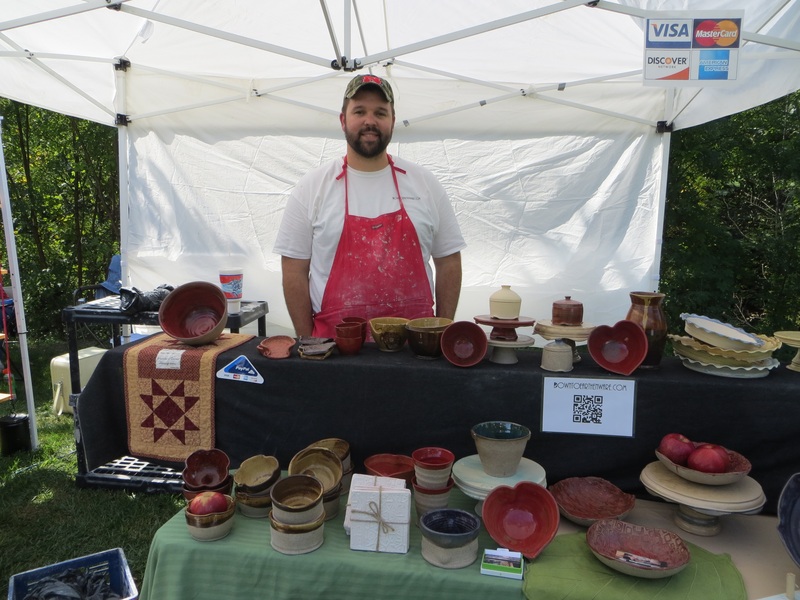 DowntoEarthenware had a booth at the Staunton (IL) Art and Music Festival Sept. 20 & 21. This was a unique opportunity to connect with people and really explain each piece and its function. A variety of pieces were available for purchase, but we had a special deal going on with our apple bakers. With every apple baker purchased the proud new owner also got to take home an apple (recently picked from a local orchard) to try in the new baker. This is quite a tasty incentive! 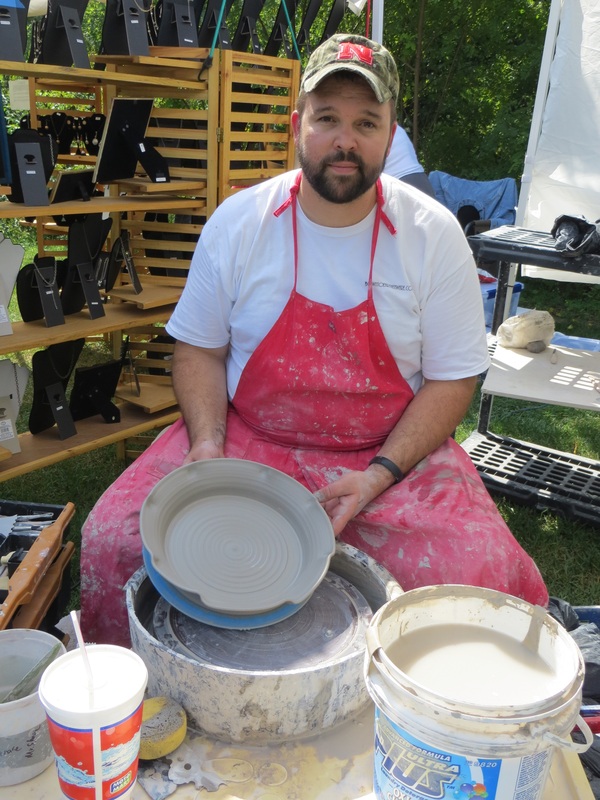 Not only was there an opportunity to connect with individuals, but there was a great opportunity for those in attendance to see the throwing process. Here is a finished large baking dish. Point of interest: did you know that the notches on the sides of the dishes aren’t purely decorative? If you cut a pie from one notch to the one directly across from it all the way around the pie you will end up with 8 evenly cut pieces! It’s all about form and function, my friends, form and function. ** Pictures courtesy of Kaylan Schardan of Macoupin County Enquirer-Democrat – She visited the booth and when the article is published, we will be happy to share that link with you! Red Hot Apples Comin' at Ya! Among all the other things happening in #life , our #firsthome is being listed today! If you know of someone looking for a house, let me know!